Wow, that is some photograph! It pays to be the king! Unless it doesn't. When talking about lions or other apex predators, the thing that comes to my mind is this talk about toxin concentration.3 The little toxins act as hitch hikers that pass from one animal to another carried within edible proteins, yum. The actual word to describe this is called biomagnification. This effect is something that has been happening long before man started spraying DTD, or mixing mercury into our hats. It is certainly the kind of thing that would be talked about at the end of a nature show, especially anything produced by David Suzuki. My dad wasn't one to spend a lot of words explaining something. Short and to the point, and if you didn't understand him, well that was your problem. You see my dad was a shift worker, and he would lay on the couch during the day with the TV on, so he could distract his thoughts enough to fall asleep. 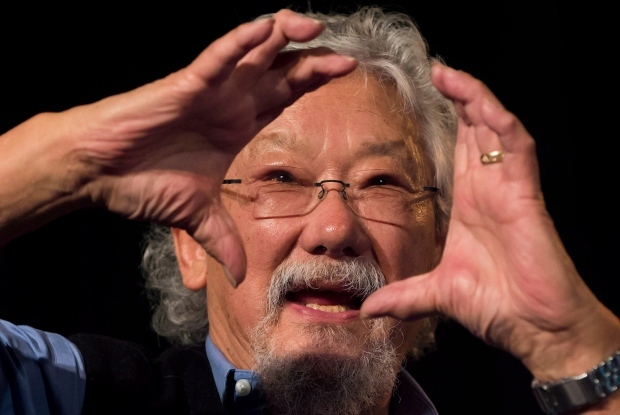 David-Suzuki-like politics were not appreciated, since they would worry and aggravate him. There is an inherent set of assumptions at the bottom of any conservationists message, and that is that there is something to conserve in the first place. It turns out that this is not the case at all -- things change. I will talk about this later in further posts, but it you want to get the jump on me, read How nature works by Per Bak. To think in terms of the stories provided by David Suzuki is kind of like just believing the stories that they tell you in Sunday school. It's not a bad start, but you need to think a bit harder than that. What Per Bak teaches us is that extinction events, cancers and all sorts of other systemic disasters can happen automatically, with no outside stimulus. There are periods of stability, that fool the conservationists into thinking that nature is a stable thing. These periods of stability are interrupted by spontaneous catastrophe. His career was spent understanding the timing of these kinds of catastrophes. As you can imagine, he wasn't a very popular guy. I'm pretty sure he did not receive funding from the Canadian tax payers to spread his message. The nice thing about following David Suzuki is that he tells you that you can actually control things, that you can have an effect. Per Bak might not disagree with this, but he might add, "yes, and you can't predict what your effect will be until after it has happened." In Canada David Suzuki is King, his message ties into our love of nature and our want to protect it from wanton destruction. He has won many awards. In Canada you can use Susukism to open doors. I once met a follower of David Suzuki, who was funded by the Canadian government with the "clean air foundation". They rented a house in Vancouver during the winter Olympics at great expense. In addition to this they had a tent in the Olympic village, so that they could acquire signatures from athletes. They bought a gaming station to attract them to their tent, so that they could get signatures. The petition was for "clean air to breath". All you had to do was agree that you wanted clean air to breath. I think I could sign that petition. There was no point to this petition at all though, other than to signal something that would make everyone feel all-right. The "clean air foundation" was full of former athletes who just wanted to get funding and access to the party. The petition was a completely pointless piece of paper. They were doing very well until one of their members got drunk after the Canadian hockey team won the day. He wrapped his arm over Sidney Crosby's shoulder and assaulted him with a barrage of drunken-stupid questions and unwanted praise. I don't think he was talking about clean air. Needless the say, the organization lost their funding, Susukism can only get you so far. That's ok, the party was over anyway. Let's flip it back to Bak. A nature show produced by Per Bak might have ended with the earth becoming a cold frozen ball, for no foreseen reason at all. Good times. I can't imagine any sort of political movement resulting from this. No free rides to the Olympics or any other party -- no drunken rants at hockey stars. At least my Dad would have gotten some sleep.